Autumn Network Meeting Zaragoza: Winds of change! 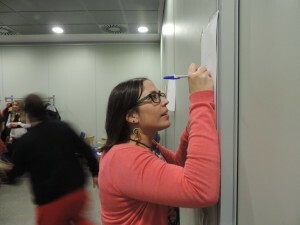 Due to the fact that NWM in Zaragoza took place only a few weeks after Agora Cagliari, it was mainly organised by former NetCom Carmen María and her team, although some members of the new team (Olga Rivero’s Tripulación) were also involved in the programme preparation and presentations. Another Network Meeting (NWM), another pleasant and different experience with the members of our Network. We needed some winds of change in our NWMs, so we tried to implement some changes and improvements suggested by the participants in our last Spring NWM in Alicante, although the new team will have to continue working on it in order to keep improving the format. This time, we tried to make the content more practical and we held more sessions to share knowledge and experiences. There was more time for participants to talk and share their concerns, doubts and ideas, even if the outcome was not as dynamic and energetic as expected after all the discussions we had during the Spring NWM in Alicante and in our Facebook group before Agora Cagliari, where the participation in discussions increased notably. The team was lucky to count on experienced people from different European bodies, people who contributed and shared a lot with the rest; Antonija Parat from the Comité Directeur (CD) who showed us the achievements of AEGEE so far and made us think about our motivation while also clarifying loads of interesting topics, Policy Officers Léa Charlet and Pablo Hernández who conducted a consultation on Gender Equality and Youth Employment, Speaker of the Action Agenda Coordination Team (ACT) Ruben Navarro who led a great session about the Action Agenda, Esperanza Rodriguez from AEGEE-Las Palmas who taught us more about Financial Reports and Erasmus +, Anna Gumbau from the 30th Anniversary Team who informed us about the project, Liaison Officer Laia García who was always there to raise discussions, Regional Advisor from BEST Carlos Freire who was representing our beloved partner association and many other involved and active members from our area. 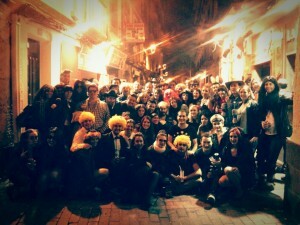 Not to talk about the nice social programme AEGEE-Zaragoza prepared! A tourist bus tour around Zaragoza to start knowing the city, their great work with the location of the accommodation and the facilities (in the middle of the city! ), nice meals and many details thanks to their excellent fundraising work and, of course, a Celebrities party where participants let their imagination soar and became famous for that night. It should be pointed out that our current president, Paul Smits, was more than present there! Once more, many thanks to AEGEE-Zaragoza’s organising team for their great help and wonderful work with the logistics of the event, making everyone comfortable and happy. Thanks again to Antonija for all her help and contribution to this NWM. And a special mention from my side to my team, La Tripulación, and the other collaborators for their support during the organisation of this NWM and their outstanding work. And of course, last but not least, thanks to every participant who took part in this NWM. 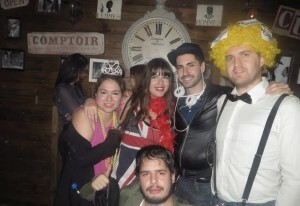 Let’s keep on rocking “La Nave” and AEGEE! 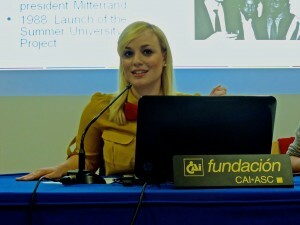 Written by Carmen María López Banegas, AEGEE-Alicante. 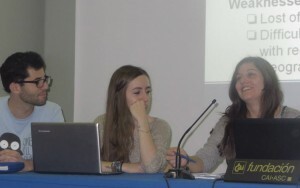 Pictures courtesy of Alberto Arroyo from AEGEE-Madrid and of AEGEE-Zaragoza’s team. ← Any questions about Event Management? Meet the new E.Q.A.C team!